CP 1293 steps smartly across a steel bridge in Quebec with its trainload of no-doubt terrified passengers. 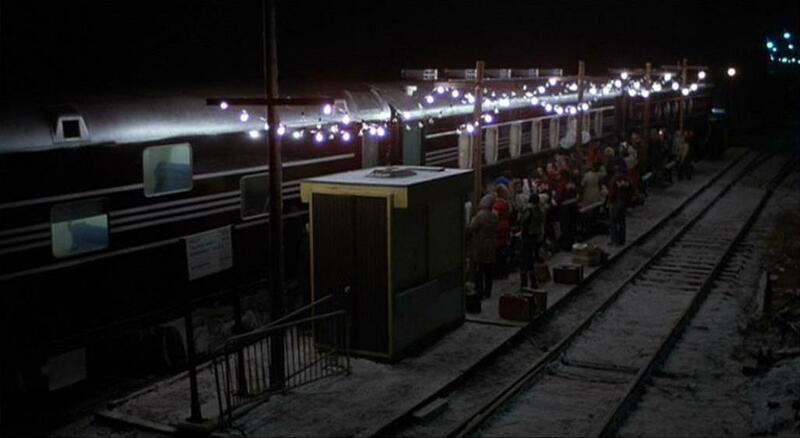 The members of Sigma Phi Omega (signify nothing) and their sorority sweethearts prepare to board Terror Train at what appears to be a small suburban station stop near Montreal. The engine and passenger cars were brought up from F. Nelson Blount’s Steamtown collection in Vermont. 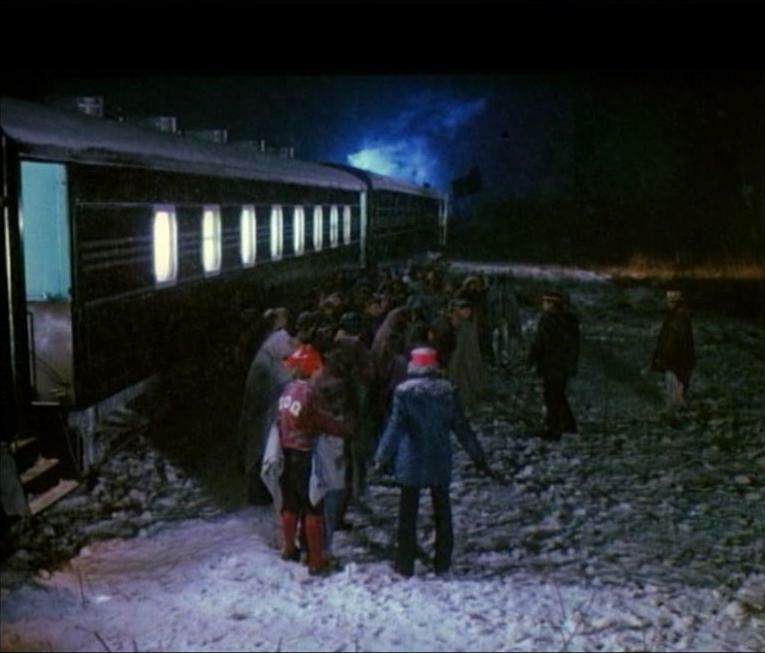 Filming was primarily on lines outside of Montreal, Quebec, Canada. 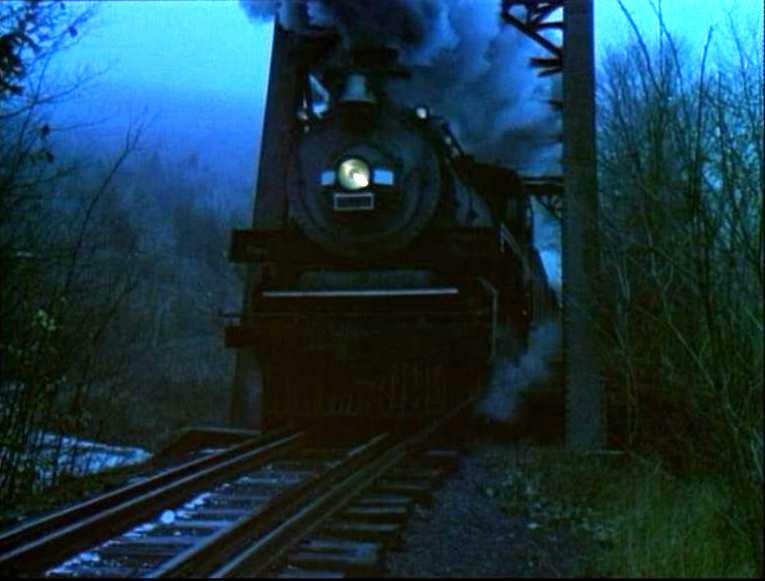 The director chose not to use CP 1293’s chime whistle, instead substituting a European-style banshee steam whistle — which sounds like a scream. 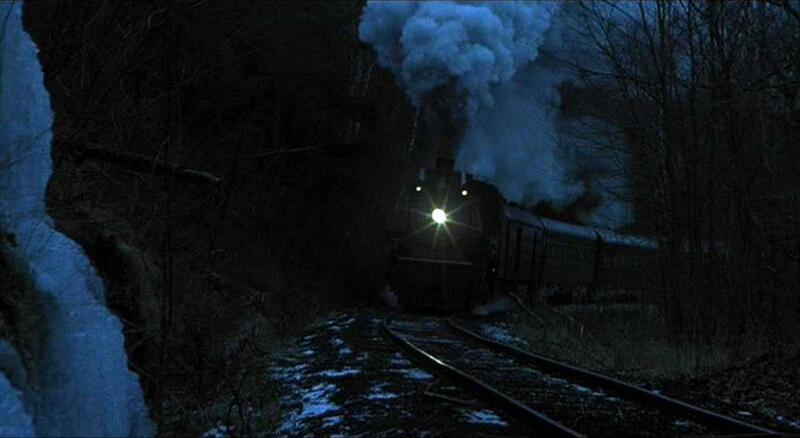 If you watch the movie trailer, you can briefly hear 1293’s actual whistle. 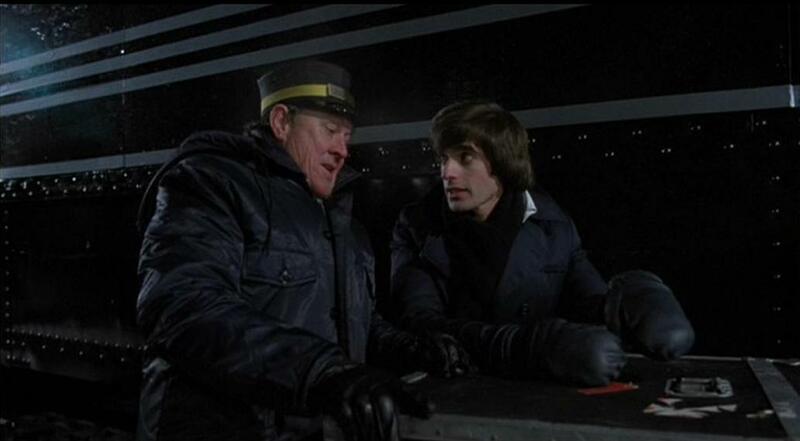 Conductor Ben Johnson talks it over with a very young magician, David Copperfield; Ben Johnson calls, “All Aboard”. 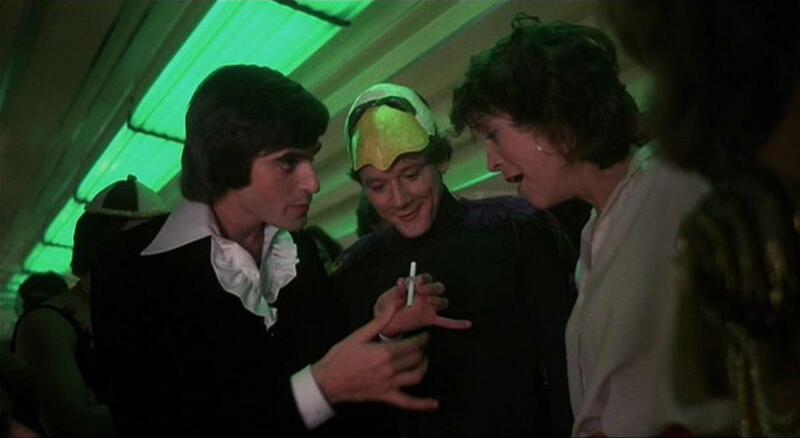 I think that is scream queen Jamie Lee Curtis to the right. Her mouth is open already. 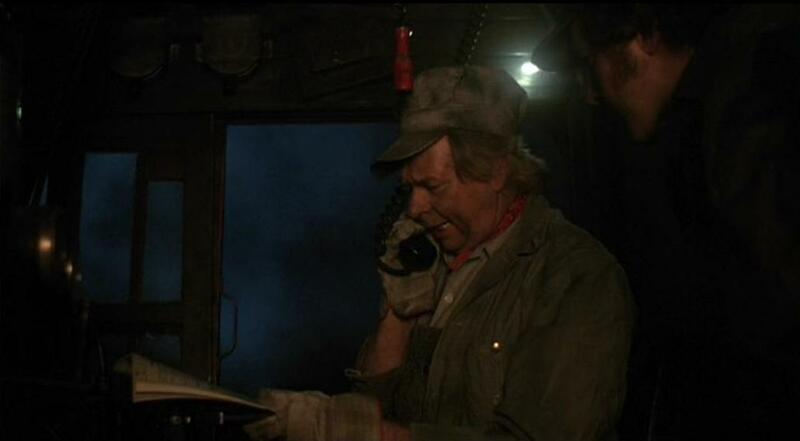 A good peek at the engineer in the cab of 1293 talking to his conductor on the phone. 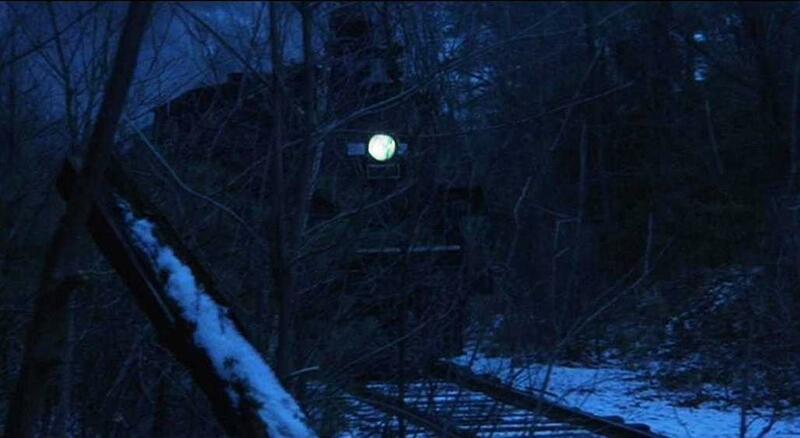 This runby past an icy cliff was used several times during the film. Conductor Ben about to discover another victim — nice view of curtains/ladder in hallway of a “section” sleeper. 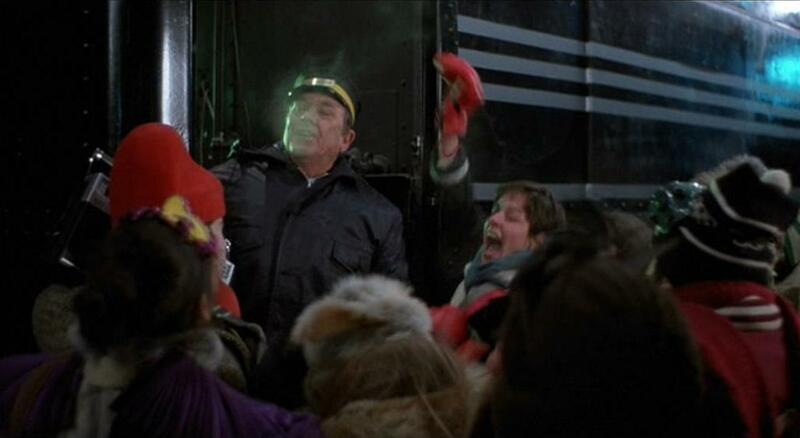 Unloading the passengers to try and figure out who’s generating all the carnage. 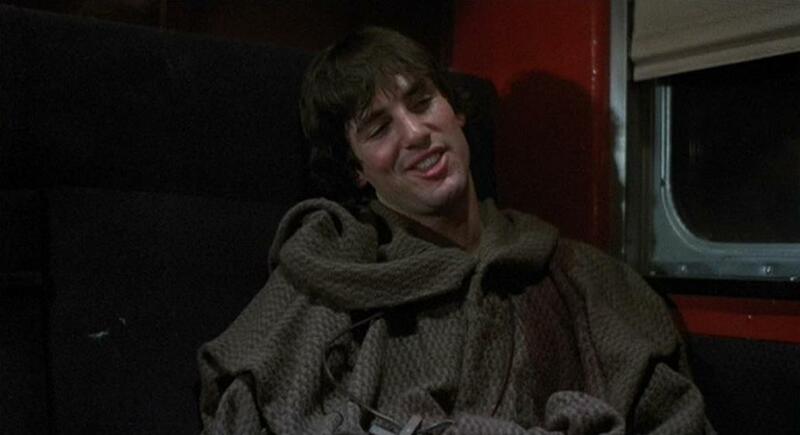 I love actor Hart Bochner’s contemptuous sneer. The bad boy of the picture, he has smugly locked himself in his bedroom. 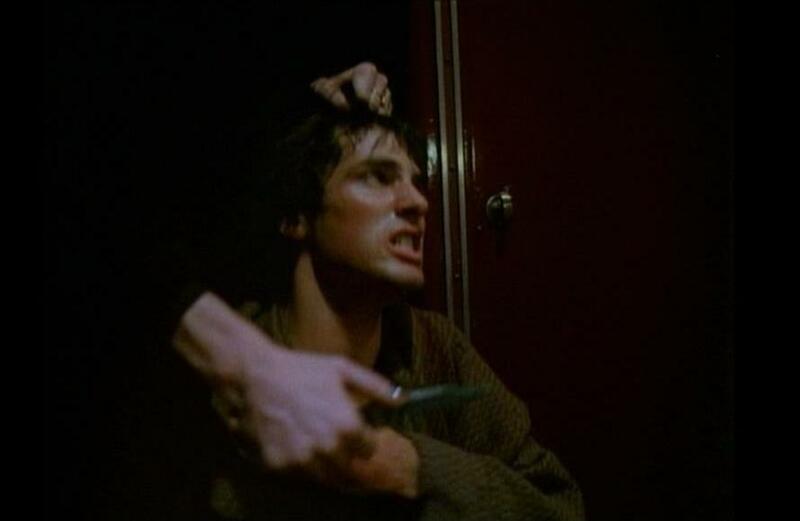 Naturally, the slasher soon offs him. Lookit how far open Jamie Lee can get her mouth! She wasn’t called the “Queen of Scream” for nothing. With clenched teeth, Jamie Lee hoses the mad killer down with fire extinguisher stuff!! Oh no! 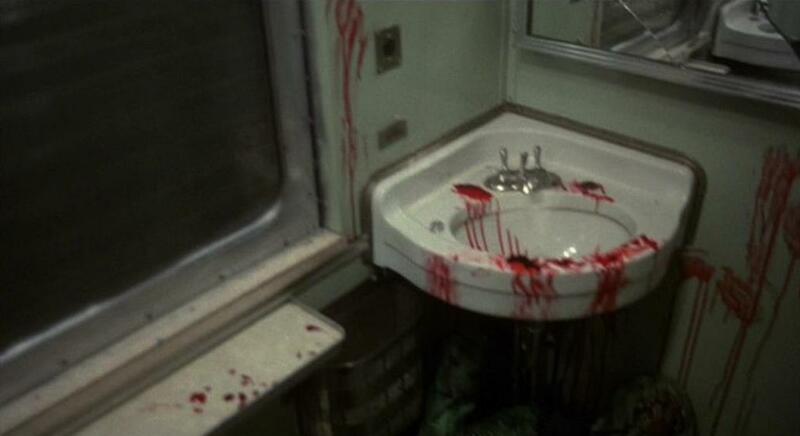 Is it the CONDUCTOR who’s the slasher? 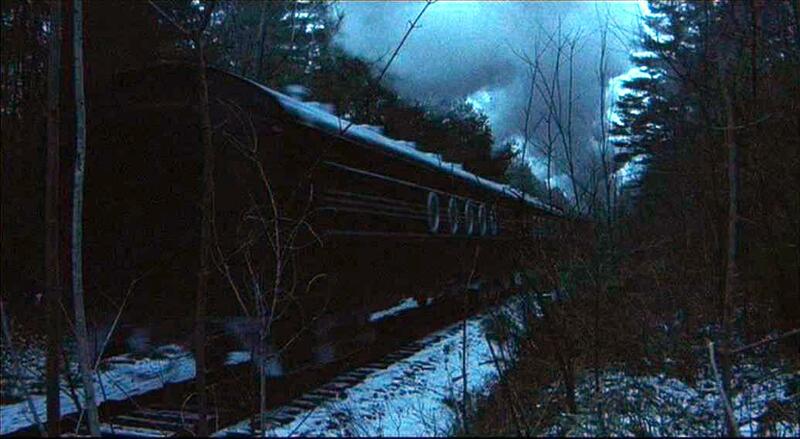 No matter…the villian is presently dispatched from the train into the conveniently-provided river gorge below. Or is he? 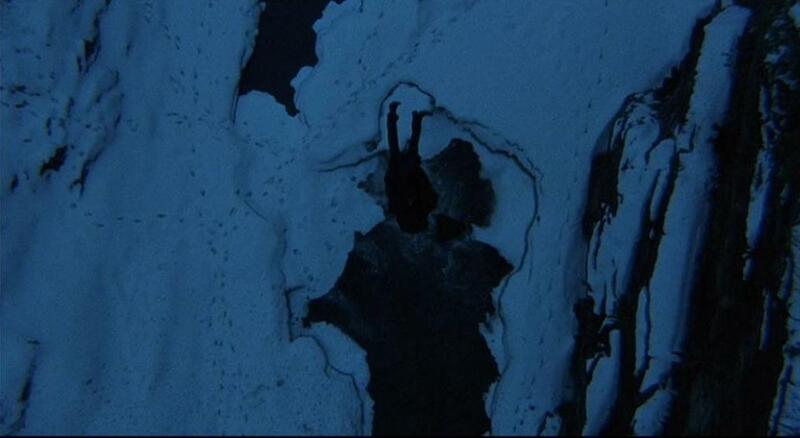 They must have done several takes — notice all the footprints in the snow. 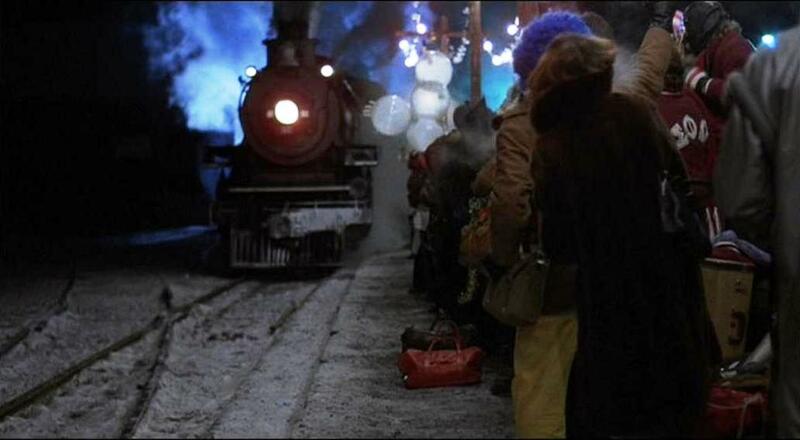 A final coming and going view of our terrifying train before the credits roll. I love those circular windows in the last car. 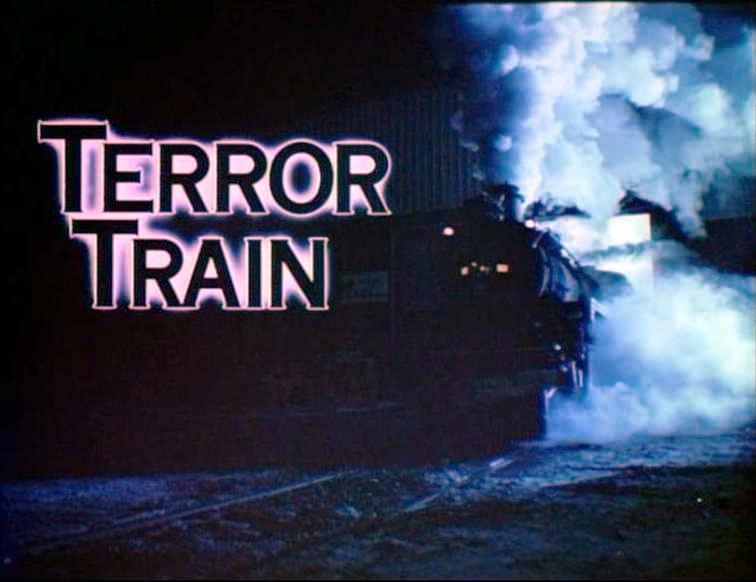 This entry was posted in Uncategorized and tagged 20th Century Fox, Ben Johnson, Canada, Canadian Pacific Railway, CP 1293, David Copperfield, Hart Bochner, Jamie Lee Curtis, Montreal, Quebec, Slasher movie, Steam Locomotive, Terror Train. Bookmark the permalink.